WASHINGTON (April 01, 2016) -- The Army's chief information officer announced, March 31, the release of the Army's new, long-term, network strategy called "Shaping the Army Network (2025-2040)." 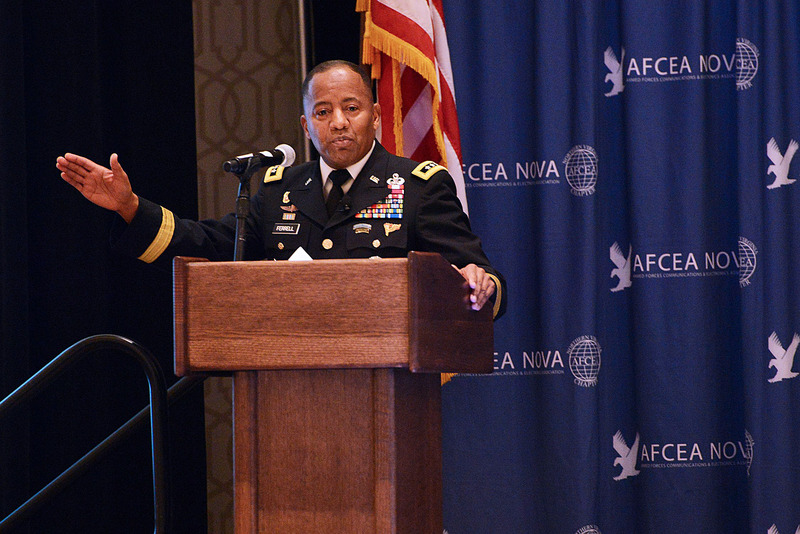 Lt. Gen. Robert S. Ferrell, the Army CIO/G-6, announced the release of the Army's new, long-term, network strategy called "Shaping the Army Network (2025-2040)," during a conference, March 31, in Tyson's Corner, Virginia. "Shaping the Army Network: 2025-2040 provides the long-term strategic direction for Army enterprise network modernization within the context of the Army Operating Concept," Lt. Gen. Robert S. Ferrell, the Army's chief information officer/G-6, writes in the new strategy. "Using the IT baseline described in the Army Network Campaign Plan as a starting point, the intent is to guide development of science and technology requirements to get to 'what's next,' in the evolution of the Army."